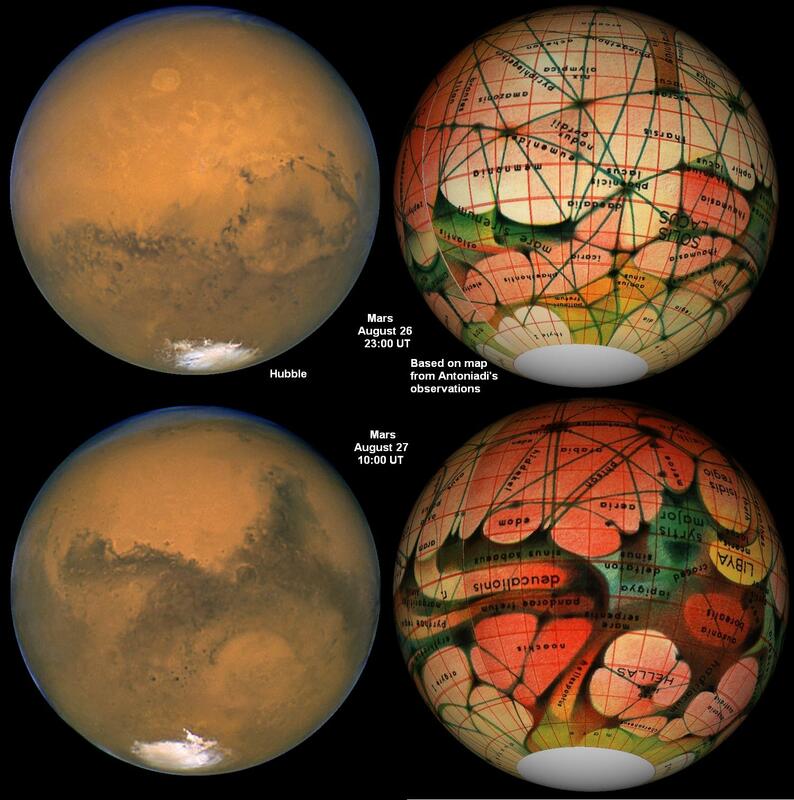 A hot debate topic of the late 1800s, several prominent astronomers including Percival Lowell not only claimed to see an extensive system of long straight canals on Mars, but used them to indicate that intelligent life exists there. The relatively close opposition of 1894 was used to make drawings like the one digitally re-scaled on the above left. 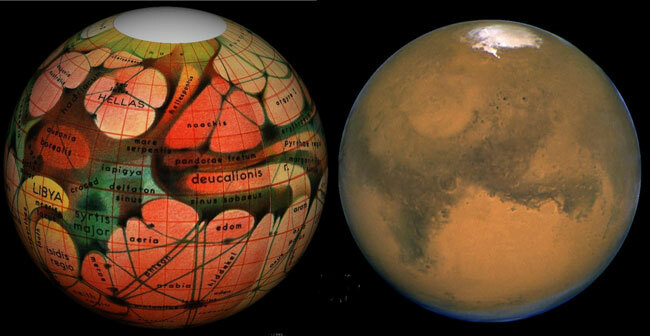 In more modern times, the latest Mars opposition has allowed the Hubble Space Telescope to capture a picture of similar orientation. 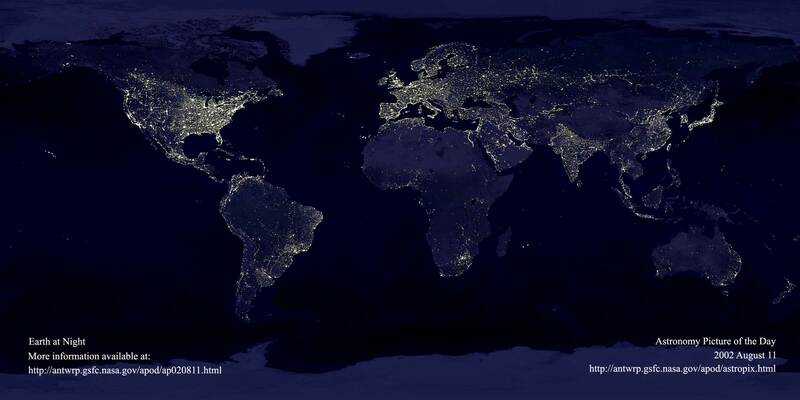 Comparison of the two images shows that large features were impressively recorded, but that an extensive system of long and straight canals just does not exist. 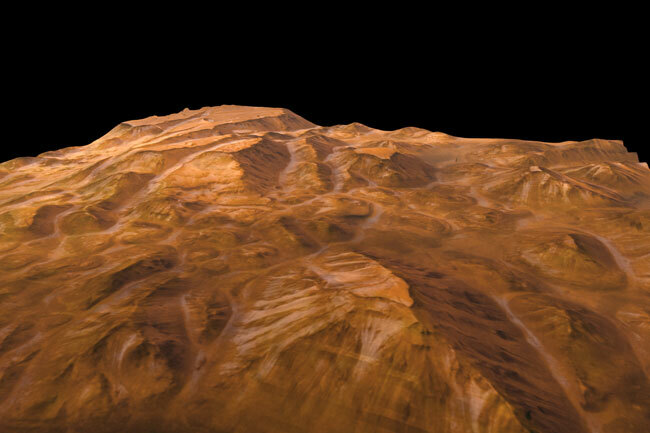 Satellites orbiting Mars have now shown conclusively that the red planet does indeed have surface features similar to canals, but that these are usually smaller, curved, and less extensive than that previously claimed. Real canyon systems like Noctis Labyrinthus are most likely cracks caused by surface stress.